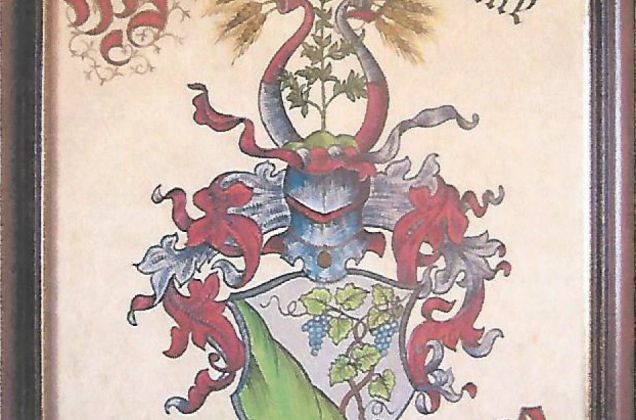 The farm was once called "Wörnaltgut", whereby it is very likely that the name derives from the name Werinolt. A person named Hainr. d. Wernold was mentioned in Marlengo in 1394 already. The Ladurner family owns the farm since 1798. 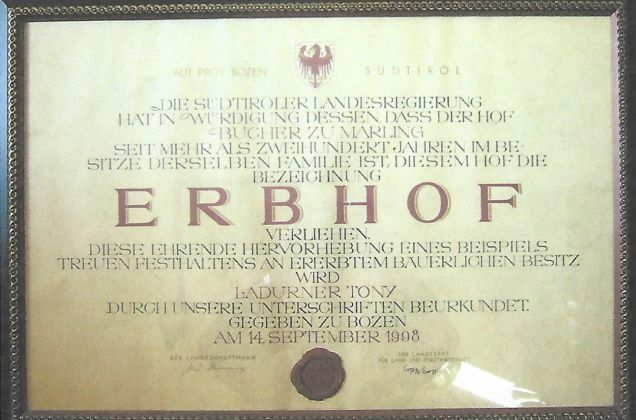 Mathias Ladurner purchased the Bucherhof farm from Joseph Anton Rutter v. Malis on the 11th of December in 1798. This was the beginning of the farm's history with the Ladurner family as its owners. When Mathias Ladurner died in 1826, the entire property was inherited by his nine children. 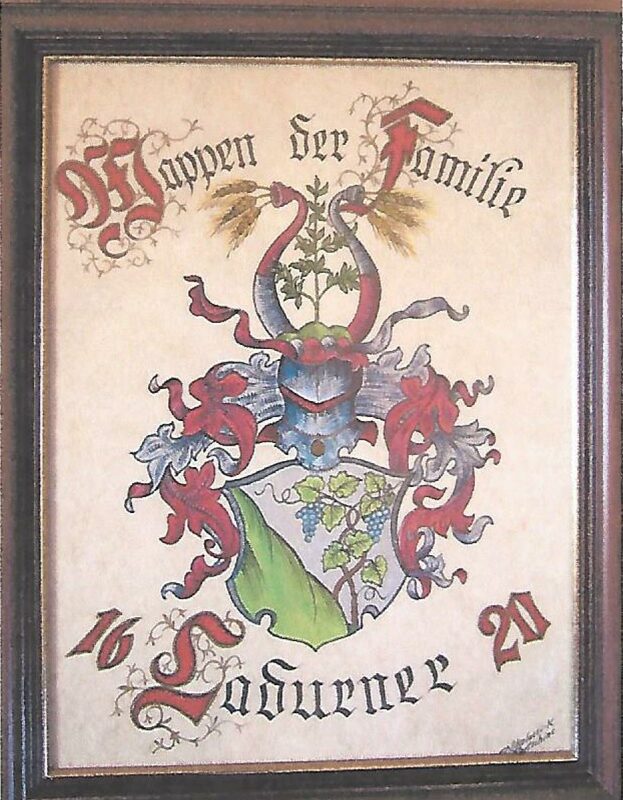 The immovable goods were transferred to the second son Mathias Ladurner on the 6th of December 1826. He was strongly involved in the political activities of his homeland. First, he became the major of the community, and finally he was elected to enter the Tyrolean Government in Innsbruck. 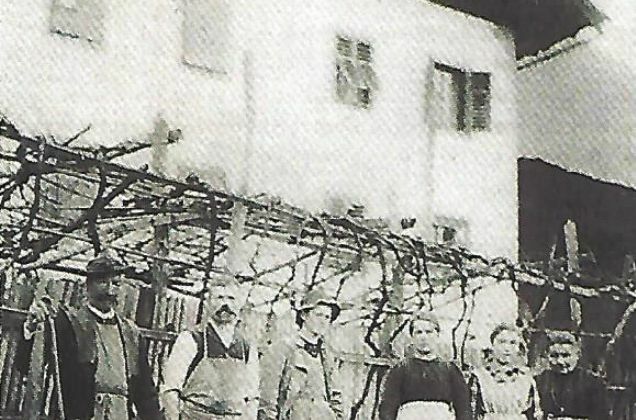 Apparently, his constant travel companion was a fabric bag with two compartments, where in one part he kept the documents and other official requirements, and in the other some food for the road, as he used to walk to Innsbruck and back on foot via the Brennero route. After his death in 1864, his three children Anton, Josef and Theresia inherited their fathers' belongings. 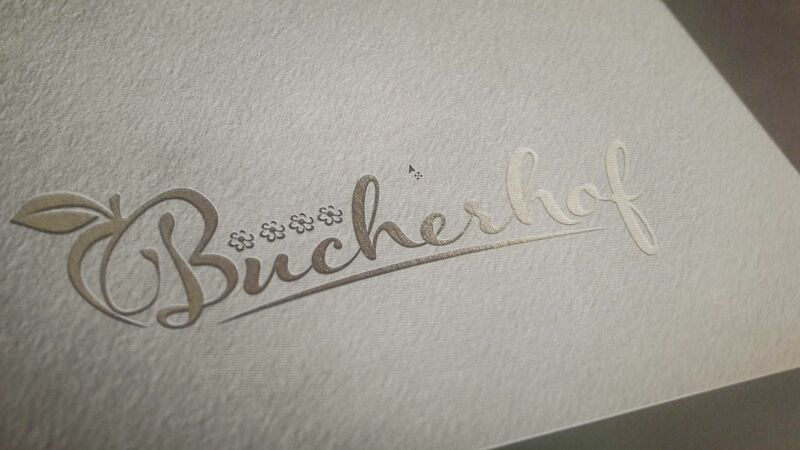 On the 28th of December 1864, the eldest brother Anton Ladurner took over the Bucherhof. He worked on the farm for more than three decades, before handing the farm down to his son, Anton Ladurner, on the 6th of February 1900. 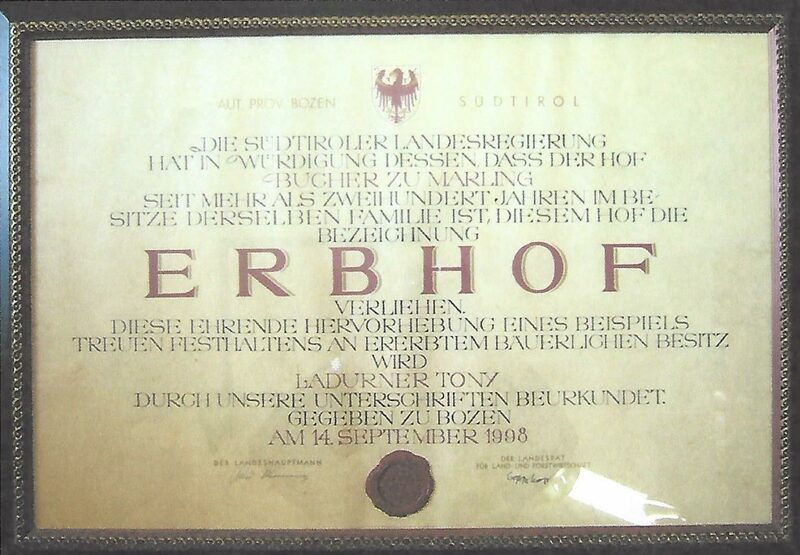 According to the certificate of inheritance dated 26th July 1934, his son, again Anton Ladurner, took over the farm. 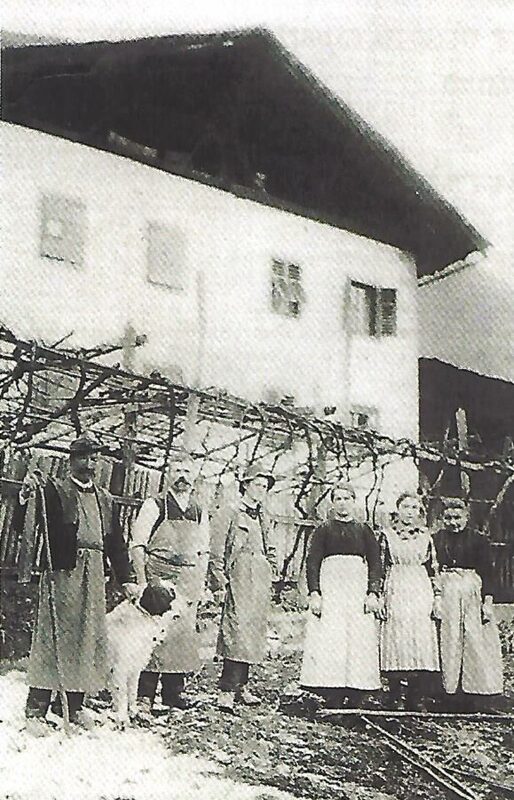 Only after his death, the farm was inherited by his three children Anton, Franz and Maria Ladurner. On the 23rd of February 1976, the possession was transferred to the eldest son Anton Ladurner. 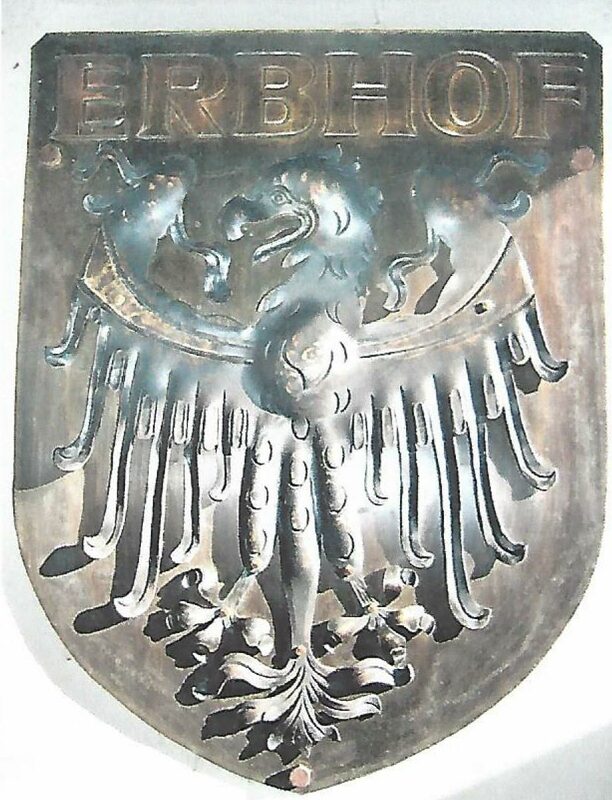 Further information are available in the "Dorfbuch" (Village Book) starting from page 403. 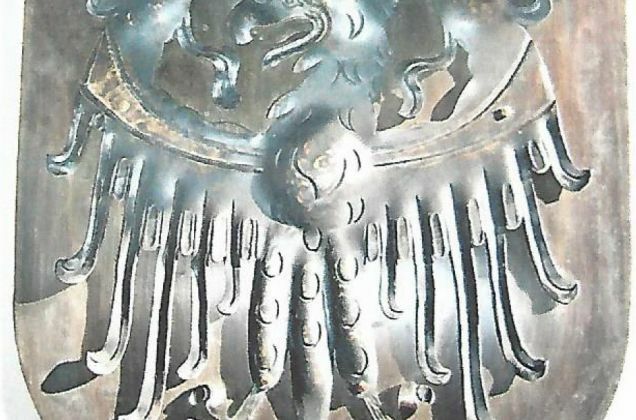 The three books "Die Urkunden von Marling" (The Certificates of Marlengo) also provide an insight to the history.